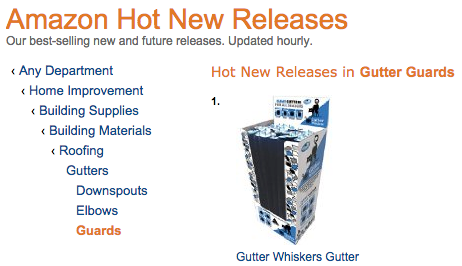 The latest Gutter Whiskers product to be offered in the USA has been ranked the #1 Hot New Release in the gutter guards category on Amazon, repeating the success achieved by Gutter Whiskers earlier this year. This time it’s the Gutter Whiskers ‘commercial pack’, containing 48m of gutter brush that is proving popular within weeks of its USA launch. The 157-foot commercial pack, containing 48 x 1m lengths.